United Party for National Development President Hakainde Hichilema can win the August 11 elections in the first round by over 69 per cent according to the latest Office of the President Special branch analysis seen by the Zambian Watchdog last night. According to the analysis as at January 20,2016, the Patriotic Front had lost popularity by close to 18 per cent from 48.3 per cent in January 2015 to 30.4 per cent in January 2016. Hakainde Hichilema gained popularity from 46.7 percent to 69 percent in January 2016 gaining by 22.3 per cent. Among the factors that dwindled the PF’s candidate popularity (Edgar Lungu) was the job losses on the Copperbelt, power outages, perceived corruption by his aides and close friends and sidelining relatives to late President Michael Sata and genuine PF members. On Hakainde Hichilema, the report cites among the factors that has increased popularity to his party’s penetration in predominantly PF strong holds including Luapula and the Northern Province districts of Mbala, Mpulungu and Luwingu. 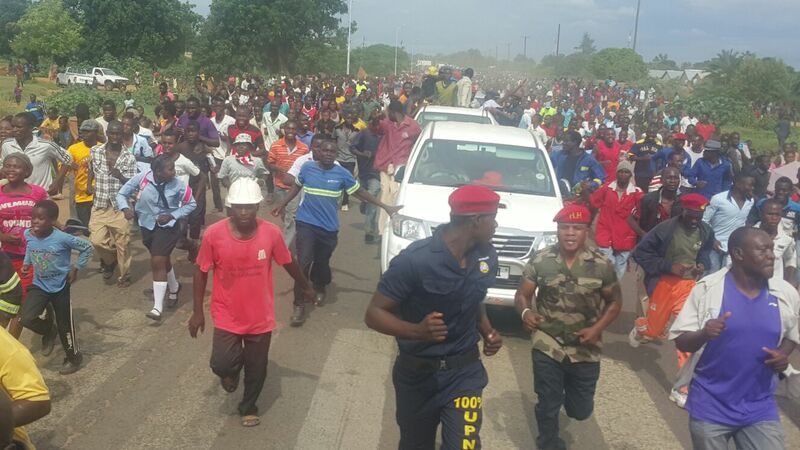 The reports also reveals that though Hichilema was gaining popularity on the Copperbelt in general, he has almost taken over the entire Copperbelt rural including constituencies like Kafulafuta, Mpongwe, Masaiti and Lufwanyama. The report further reveals a serious penetration by Hakainde Hichilema in the Eastern Province especially in Sinda, Kapoche, Chipangali and Lumezi constituencies. ” HH and the UPND in general have penetrated the mainly Chewa speaking constituencies of the Eastern Province” the report reads in part.